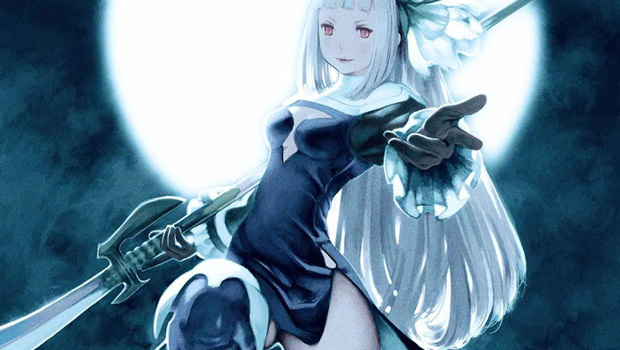 An English version of Bravely Second: End Layer, the sequel to the hit JRPG Bravely Default, is probably a ways off yet. An international release hasn’t even been announced yet, though it’s looking highly likely that it will happen at E3 later this month. There’ll be at least a few months, if not longer, between an announcement and release, so I don’t expect we’ll see an international release for Bravely Second until at least the end of this year. Between my impatience and my being a Japanese student always looking for reading material, I decided to import the Japanese version, which launched in April. I’m glad I did, because – 8 hours in, at least – this game is fantastic. If you’re familiar with Bravely Default, you’ll be glad to know that this is more of the same. It’s got the same turn-based battle system, the same Jobs (with a few new ones added to the mix), a lot of the same characters, the same lovely presentation. It captures the feeling of ’90s JRPGs, but without getting bogged down by nostalgia and outdated design, the way Bravely Default did. Bravely Second is exactly what it says on the box: a sequel, and one that takes what made the first game a success and runs with it. If that were all Bravely Second was, it’d be a great game, but it takes a few steps to improve on the solid foundations of its predecessor. One criticism of Bravely Default was that it didn’t really push its unique battle system very far; aside from boss fights, the cost of using the Brave command to get an extra turn or three – being vulnerable for that many turns afterwards – was made moot by the fact that nothing could survive Brave -> Attack spam. Bravely Second’s Consecutive Chance mechanic goes a long way to remedying that. If you win a battle in a single turn, you can opt to go another round and get an experience multiplier for your troubles. Win that round in a single turn, and you can go for yet another, and so on. The catch is that your BP (how many turns you’ve saved up by using Default, or spent by using Brave) carries over from round to round, so battles become about being efficient with your turns rather than just piling on the firepower upfront. Admittedly, I still find myself doing the latter more often than not and getting two or three rounds out of each battle, but there is the option and incentive to take a slower, smarter approach to regular encounters. Bosses, on the other hand, force you to do so. The few bosses I’ve encountered so far haven’t been difficult, per se, but they’ve demanded respect. An overly aggressive approach got me tossed aside pretty quickly, even on Casual difficulty. As soon as I got a bit smarter with managing BP to work around the enemies’ attack patterns, things got much easier. Compare this to Bravely Default, where (at least the way I played it) the bosses were, for the most part, functionally identical meatsacks, and the strategy was all in trying to maximise turn-one damage output to take out the foe before they could respond. Like Bravely Default, Bravely Second has a job system similar to a lot of Final Fantasy games, and even shares a lot of familiar job designs, like the instantly recognisable Black Mage and White Mage. 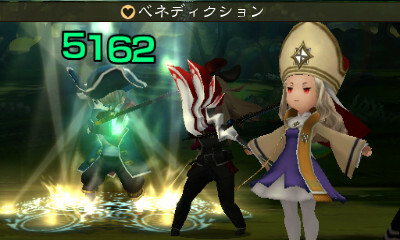 The early parts of Bravely Second are focused on new jobs; in fact, four of the fives jobs I’ve obtained so far are new: Fencer, Bishop, Wizard, and Chariot. The latter two are particularly interesting because of how they work with the Brave/Default system. The Chariot is a physical fighter, but with relatively low skill (C-rank) across all weapon types. Every attack, however, increases the user’s skill with that weapon type, so over the course of a battle – or a single turn, if you stack Braves – they get progressively stronger. Chariots can even triple-wield weapons by wearing a third armament on their head! At first glance, the Wizard looks like a pseudo Black mage – a spellcaster with fire, ice, and lightning spells. However, their focus is on various spell augments that they learn as they level up, adding additional effects at the cost of extra MP or BP. Blazing, Icicle, and Lightning are all weak target-all spells by default, but adding a Needles or Darts effect turns them into strong single-target moves. The Wall augment makes the targeted ally counter any attacks with the chosen base spell for a few turns, while Mist plants a trap that triggers against the enemy party at the end of each turn. 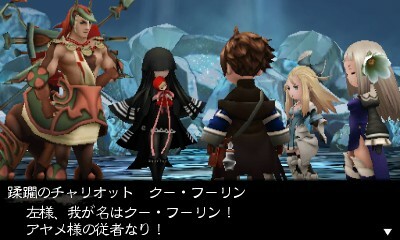 Though it centres on a new protagonist (Yū), Bravely Second is a direct sequel to Bravely Default, taking place a few years after the first game. So far, Yū seems like a fairly generic, unexciting JRPG hero – much like Bravely Default’s Tiz – but his companions are far more interesting. 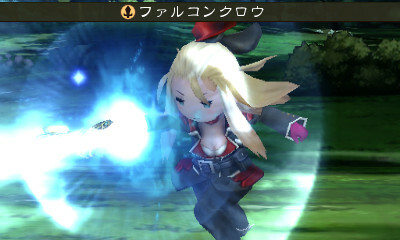 Edea joins the party early on, and is the same adorably annoying, loud anti-princess she was in Bravely Default. Another new character, Magnolia, is even stranger; she comes from the moon, randomly speaks English (“Good Gravy!”, caps and all, seems to be her catch phrase), and is regularly blown away by fairly mundane things like magical tents and coffee. All of this praise should be taken with a grain of salt. I loved, loved Bravely Default, until I got to the end of the game; the last few hours of that game were bizarre, undermined everything that was great about the game, and left more than a little bit of a sour taste in my mouth. So far, Bravely Second is reminding me of the first part of Bravely Default – the part that I held so dear – but I’m all too aware of what can go wrong. For now, though? I’m absolutely enamoured with it.